What is the road width and distance between each street light? How many days the battery need to supply the system in condition of completely no wind and solar? As we design the battery capacity according to this, and it's normally 3 days in China. Wider applicable areas – hybrid system offers a much better reliability and sustainability to areas with less solar radiation level,long rainy season or long winter. Longer battery life – normally wind turbine generates more power during night, part of power generated will supply the light directly, part of power could charge the battery during night, so less charging and discharging loss from battery and also each battery charging cycle is prolonged. 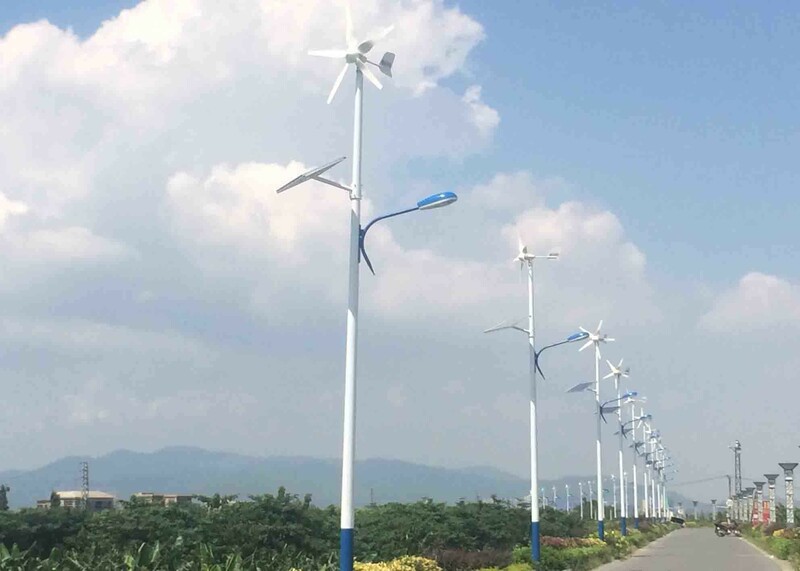 More cost-effective in windy areas – in the area with annual wind speed of 5-7m/s, wind solar hybrid system could have higher production to power higher capacity LED lights or more lights which could lower the system overall cost. 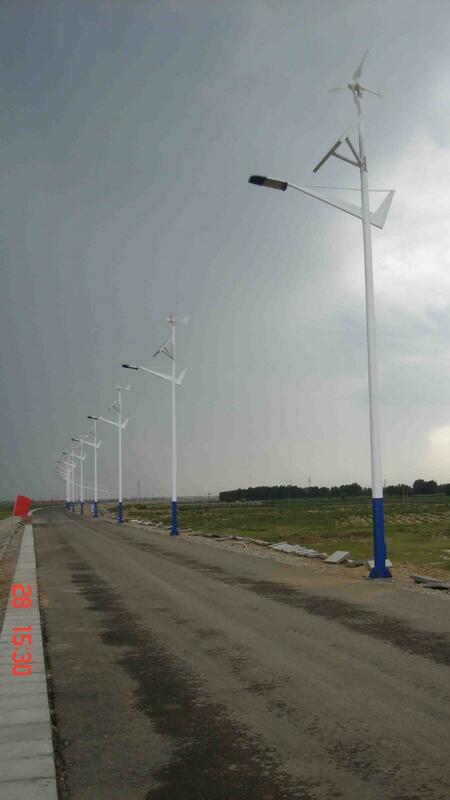 Easier installation & Maintenance – solar street light system cannot put bigger (max. 360W in two sections) PV panels on light pole considering wind load; wind solar hybrid system allows bigger capacity installed on light pole, which could generate enough electricity to power 2-4 LED lights, which means one power system supply for 2-4 lights, it will be easy for installation and maintenance. China Good Quality Wind Turbine Generator System Supplier. Copyright © 2017 - 2019 windturbinegeneratorsystem.com. All Rights Reserved.